My good friend Luis and I have a Saturday morning ritual – we meet at the local yoga class, enjoy an hour of stretching, meditation and relaxation in the company of friends, then go to the local Korean bakery for coffee and a bite to eat. As soon as we enter the bakery, we are tempted by enticing sweet cream cheese buns, nut loaves and macaroons. Once in a while we succumb to temptation, but more frequently, we both order the same thing – an omelet sandwich. 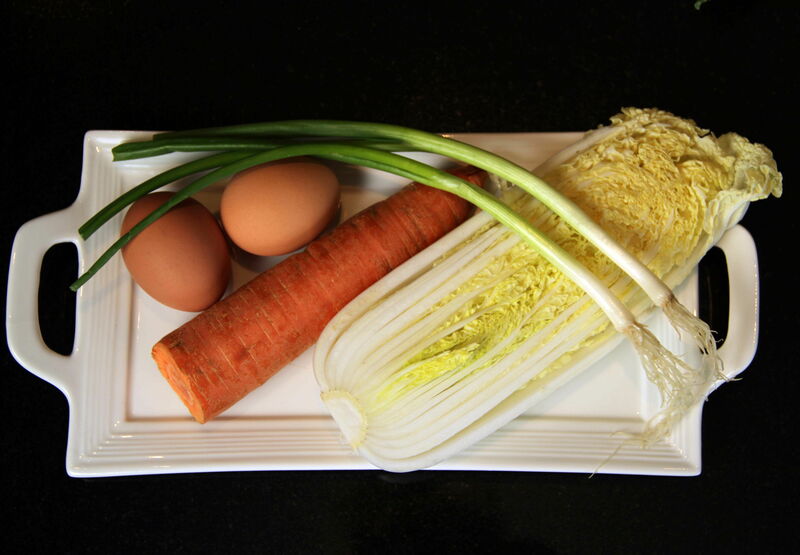 The omelet is flavored simply with just a few raw vegetables. The result is colorful, fresh and flavorful. At the bakery, I season the omelet sandwich with a dusting of salt and pepper. 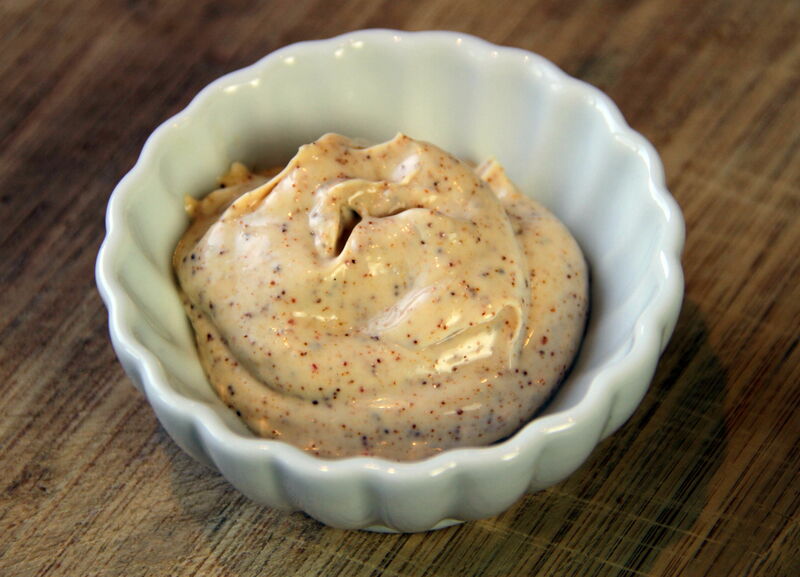 At home, I decided to spice it up with a little Chipotle Lime Mayonnaise. Either way, the Omelet Sandwich makes a great after-yoga ritual, or a stay-at-home ritual breakfast in bed. Heat olive oil or cooking spray in a small, heavy pan over medium low heat. 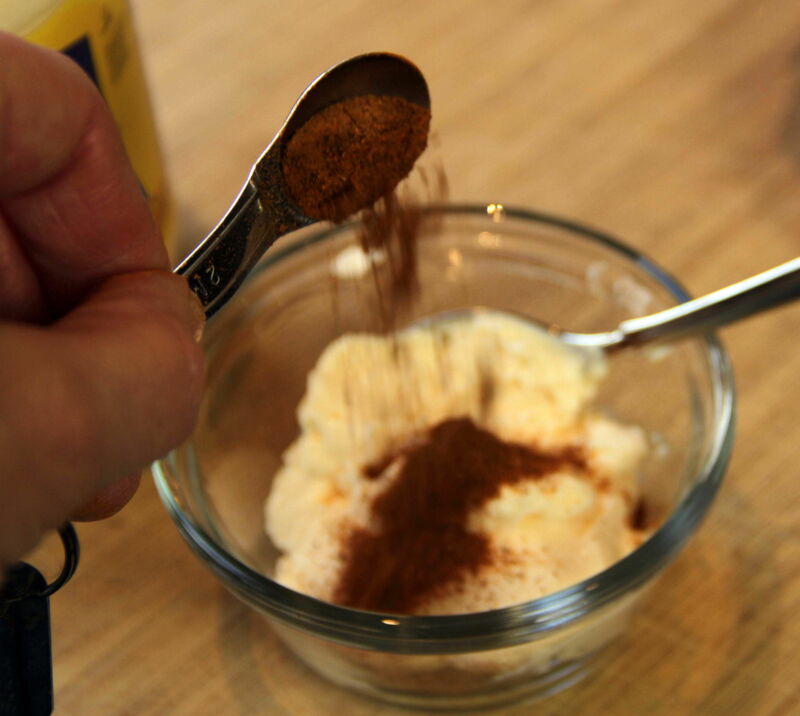 Break eggs into small bowl and whisk until lightly thickened. Stir in carrots, napa cabbage and green onion. Add egg mixture to heated pan all at once and swirl to even. Tilt pan slightly, and lift edges lightly with a spatula, allowing uncooked portion of eggs to spread to edges. Continue to cook, reducing heat to low if cooking too quickly, until egg mixture is lightly puffed up and nearly cooked through, about 5 minutes. 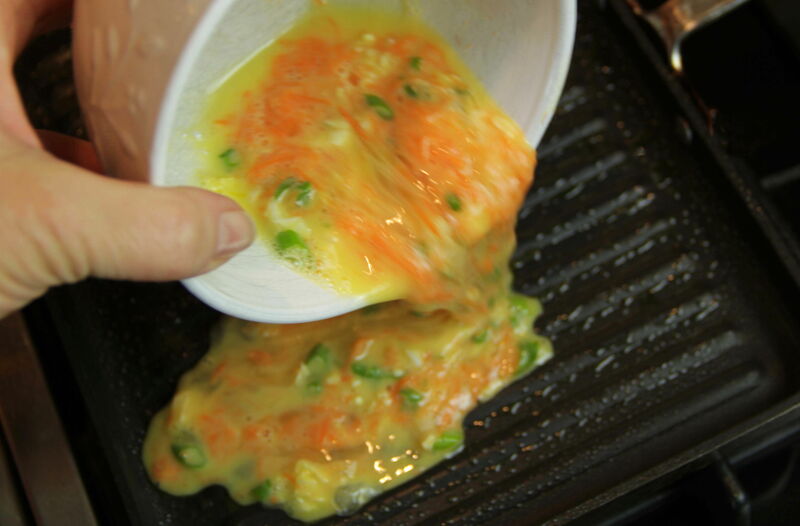 Use spatula to fold omelet in half, and continue to cook until eggs are firm, another 1 to 2 minutes. Toast the bread to a light golden brown. Add a little mayonnaise to each piece of toast. 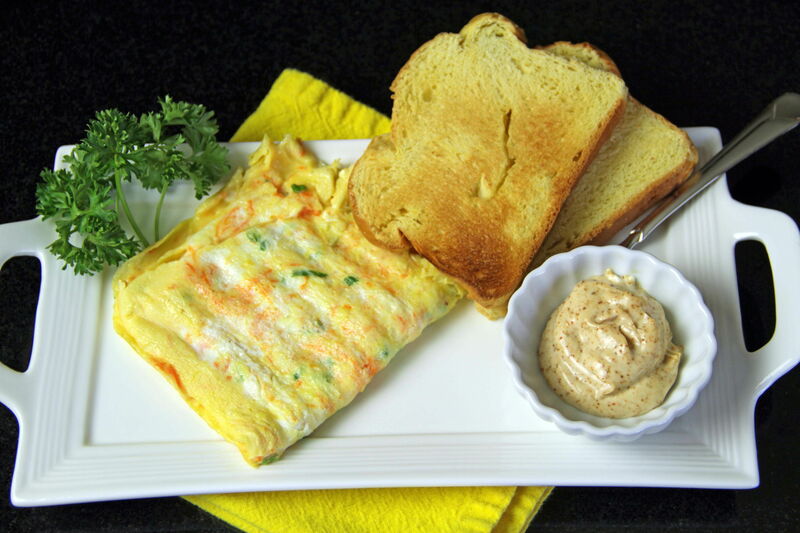 Place omelet on one slice of toast, sprinkle with salt and pepper, and cover with second slice of toast. 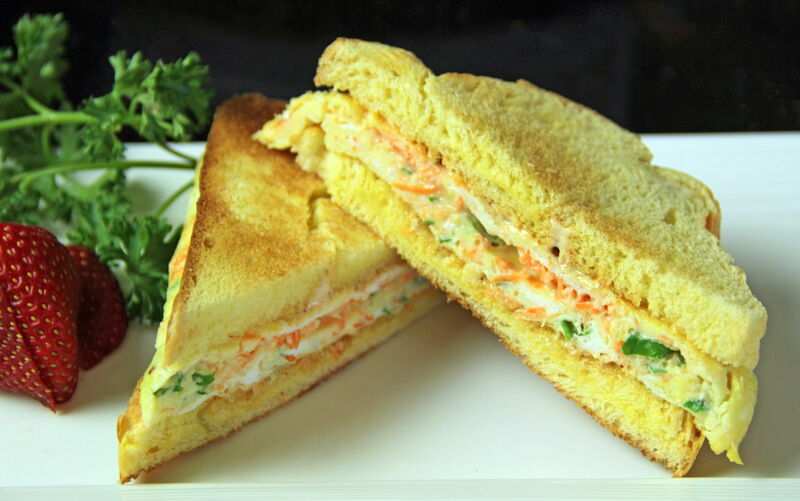 Cut sandwich in half and serve immediately. 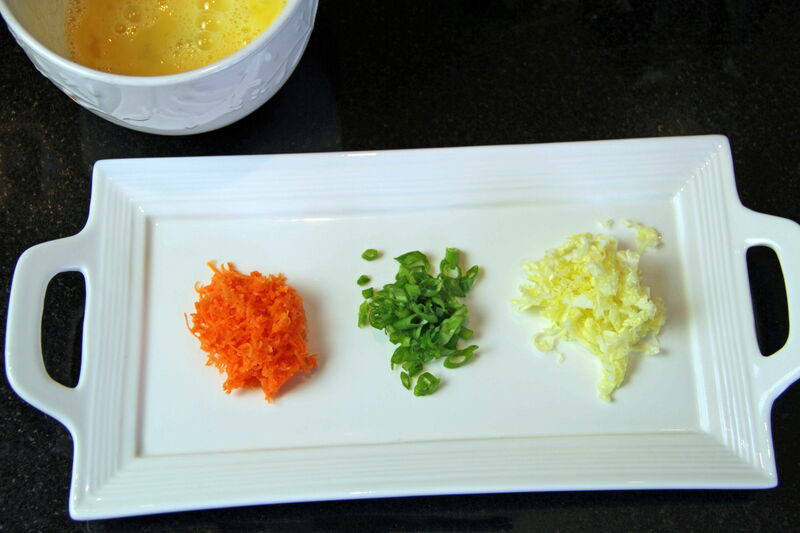 Mix all ingredients together and use immediately, or store in refrigerator for up to one month. Most city folks dream of owning a country house. Having a place beyond the hustle and bustle of a big city can help create balance and harmony. In fact, a second home might be the key to living in any urban area over the long haul, as well as maintaining a healthier and more productive life. Read on for a look at five incredibly comfy bedrooms in country houses. This shabby chic-style bedroom keeps clean in white. Simple with an undecorated look, the space feels inviting. Think this room has French overtones? You’re correct. This lovely bedroom is in a home in Versailles, France. An Upstate New York bedroom leans toward a more traditional design, but still offers modern conveniences. A perfect weekend escape, this space boasts a rustic ambiance, yet no hair is out of place. A modern log-cabin home outside Minneapolis provides warmth and comfort. 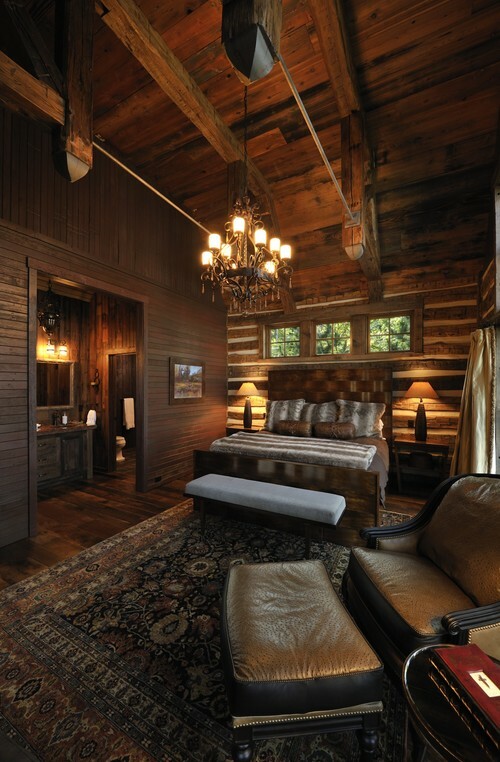 The chandelier helps set the mood in this well-thought-out sanctuary with an en suite bath. 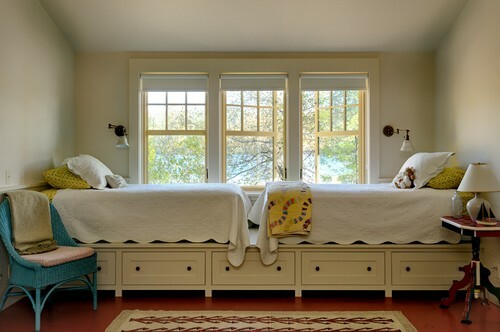 This Burlington, Vermont lake house uses a clever platform with custom storage for the twin beds. An ideal kids’ room or guest quarters, the space’s furnishings and bed coverings are modest and utilitarian, yet appealing. 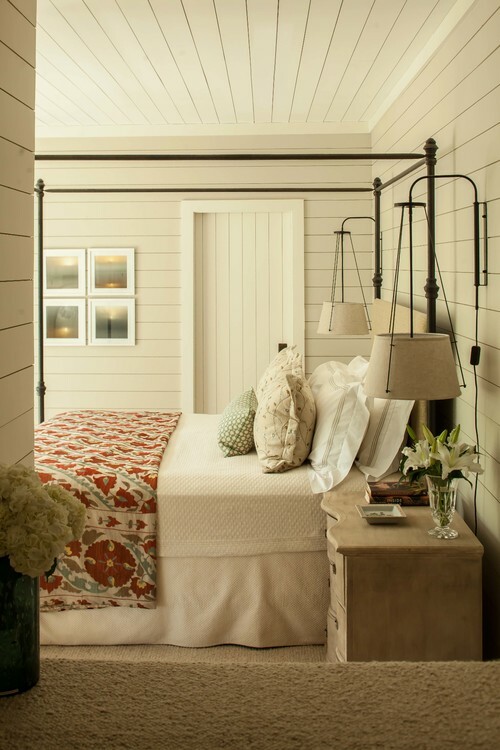 A sleeping nook doesn’t have much space, but this one sure looks cozy. 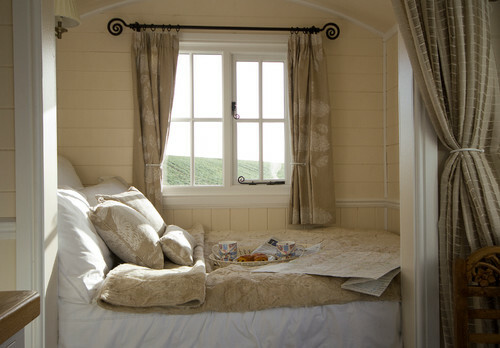 Located in a Worcestershire, UK home, the tiny room proves that bigger isn’t always better. The monochromatic scheme of beiges and white works well while texture adds interest to the room. Do you have someone special in your family who, through masterful cooking, can elevate a simple recipe to the height of perfection? Or someone who, through artful mixing, can swirl a few splashes in a glass to create a bountiful ocean of flavor? In my husband’s family, it’s Aunt Frannie. 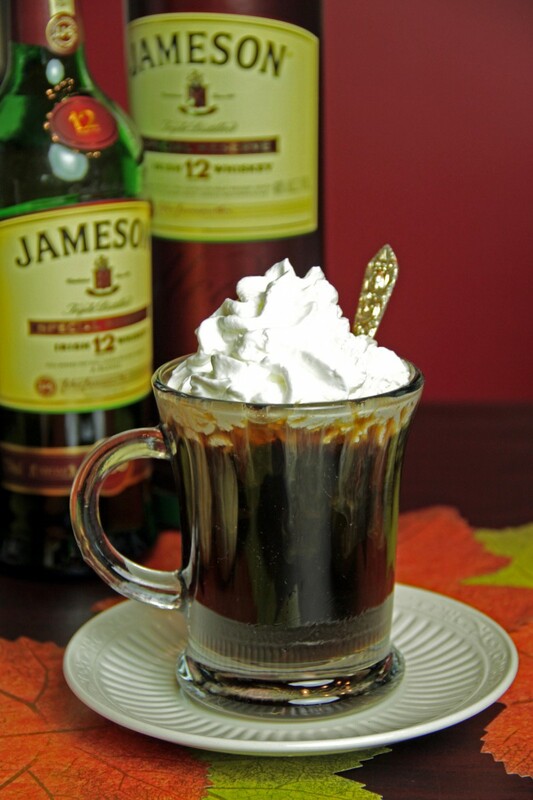 With just a handful of ingredients, she will mix you up one mean Irish Coffee. One sip of her concoction, and you will never want another mixed by anyone else. Her secret? 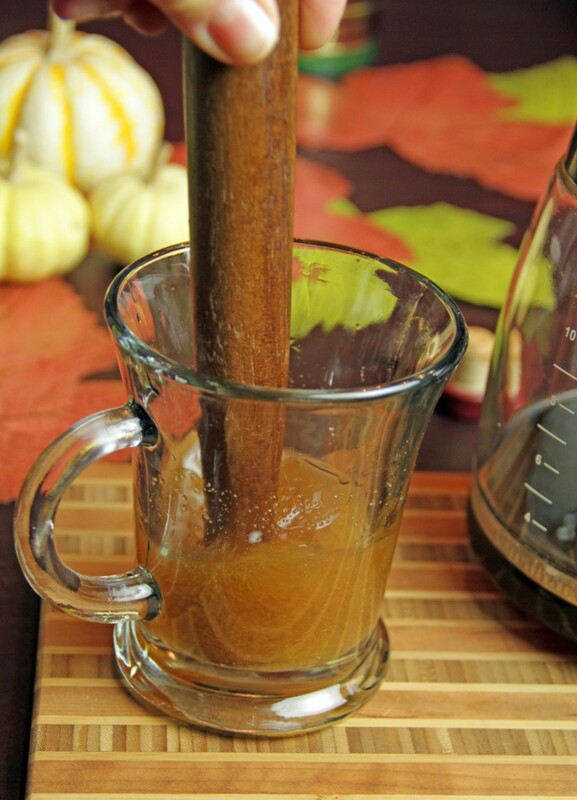 You must use brown sugar, and you must enthusiastically muddle it with a hefty pour of fine Irish whiskey before adding coffee. Aunt Frannie likes to use Jameson whiskey (ironically established by a Scot in 1780) for its smooth, woody depth. You must also use strong, hot fresh-brewed coffee. Aunt Frannie recommends switching to decaf if you plan on having more than one – trust me, they go down just a little too easy. 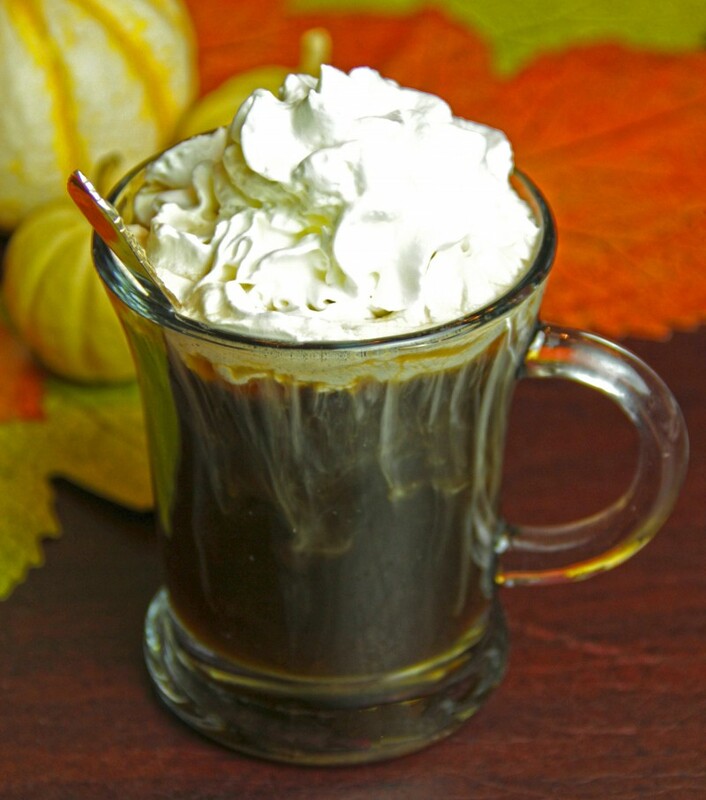 Even with this recipe it’s not possible to precisely recreate Aunt Frannie’s amazing Irish Coffee. (I think she secretly pours a lot of love and tradition in there!) It is possible, however, to begin your own family tradition and create an amazing Irish breakfast in bed. 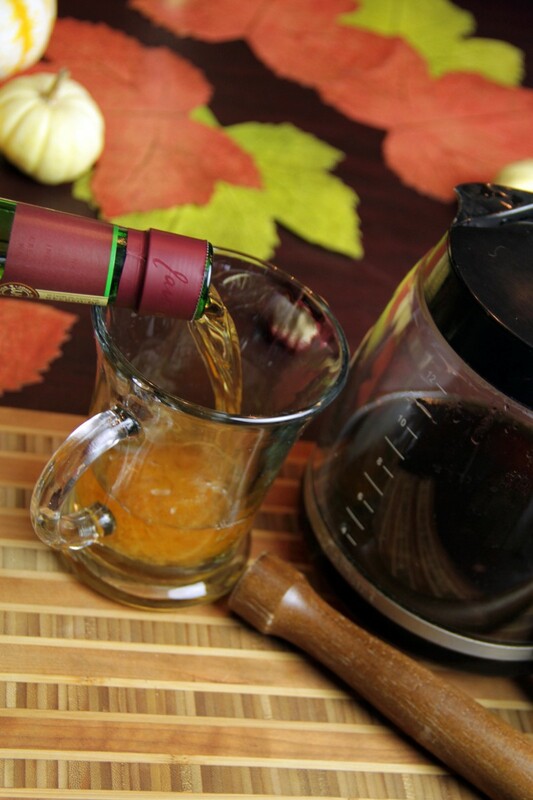 Add sugar to a small heat-proof glass, such as an Irish coffee mug. 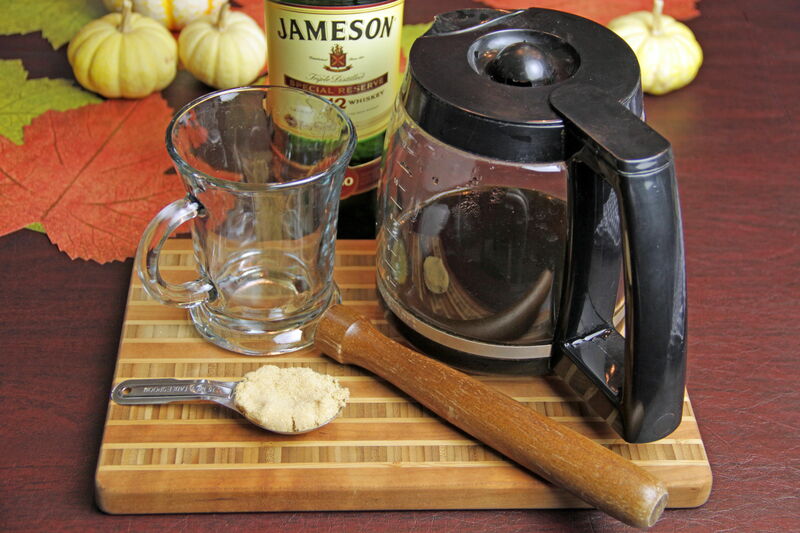 Pour in Irish whiskey and muddle until sugar and whiskey are well-mixed. Pour in coffee and stir. Top with whipped cream and serve immediately. 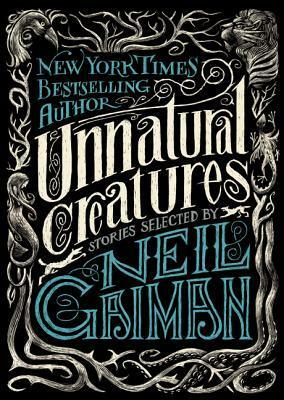 Unnatural Creatures: short stories selected by Neil Gaiman. One of the great aspects of short stories is that you can often dive into the story and come out the other end within a reasonable amount of time. But sometimes I feel like even a great short story author can be pretty hit or miss and I often don’t like reading collections by a single author for this very reason. What I do like is collected stories, especially those carefully curated by a respected figure in the field. And you don’t get much more respected in the field than Neil Gaiman. Known for a million novels for adults, young adults, and picture books for kids, not to mention the Sandman graphic novels, Gaiman is a beloved figure in the literary scene. So a collection of short stories by him must be pretty good. Unnatural Creatures is a collection of stories about creatures, both magical and otherworldly. The authors are as varied as the subject matter they cover: from 19th-century authors E. Nesbit and Frank Stockton to contemporary cartoonist Gahan Wilson to Neil Gaiman himself, this collection will have something to please just about everyone. The first story, by Gahan Wilson, is a creepy and strange tale of a mysterious blot that appears and disappears at random, always growing and causing distress. What is it? Where did it come from? Frank Stockton’s tale, “The Griffin and the Minor Canon” is a sweet tale about fear and misunderstanding. It’s also about a griffin. I love this story. With sixteen stories to choose from, this collection of unusual and imaginary creatures is a wonderful way to end the day, transported to a magical world in the safety and comfort of your blankets. Movies Television in Bed: The Flash! So, I think pretty much every single superhero out there, regardless how marginal and obscure, is getting either a feature-length film or their own television series. To be honest, I’m tired of it all. So when The Flash got his own series to accompany the CW’s Arrow I thought, “Yippee.” But I have to tell you, I’m watching it. My wife and son started in on it and I jumped in a few episodes in. It’s a great show! All the creators behind the series are well seasoned, all of them having been involved in a number of series, from Dawson’s Creek to Arrow to Boston Legal. And it shows. The story lines are as credible as a superhero story line is going to be; the characters are likeable, interesting, and not completely 2-dimensional. There are a few “really? ?” moments, but so far nothing that would put me off the show. The premise of the series is that a huge science facility in Center City (aerial shots are of my hometown, Portland Oregon; holla!) called Star Labs was about to start their particle accelerator. Unfortunately, something went haywire and a crazy pulse went out, causing massive destruction. What most people didn’t realize is that it also gave a few people superhuman abilities. Called metahumans, their powers range from the ability to control the weather to the the ability to shapeshift into anyone the metahuman comes in contact with. Oh yeah, there’s also a guy who can run super fast. 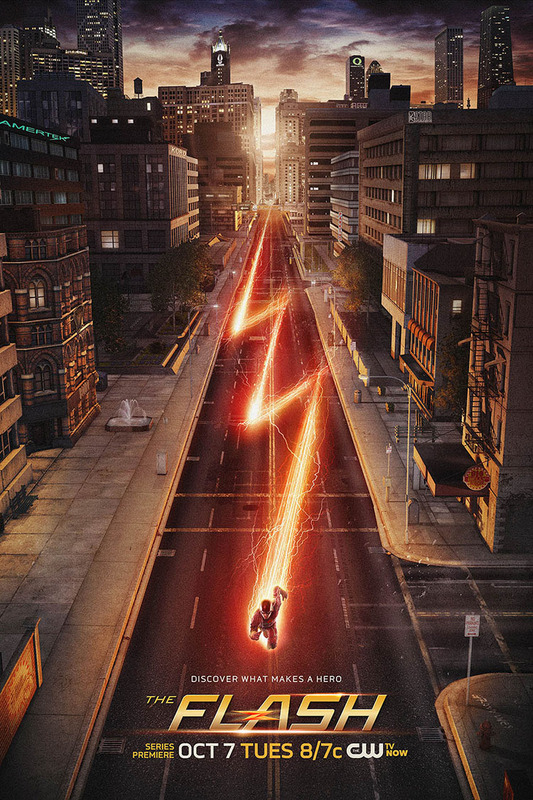 Star Labs finds Barry, who can run super fast and equip him with cutting-edge technology to allow him to use his speed without destroying his body in the process. Between battling metahumans, trying to live a normal life on the side, and trying to figure out the relationship between the death of his mother and someone known as Reverse Flash, Barry is a very busy guy. It’s an exciting show but also pretty minimal with the violence so older children should be able to watch most of it without fear. Season one is available streaming and season two is on the air right now. Run over and check it out and dream of being super duper speedy.